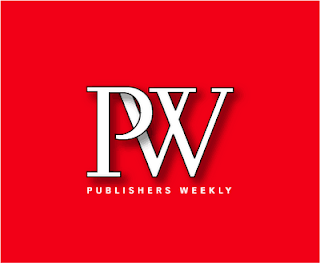 Publishers Weekly has just released its picks for the best titles of 2009. Editors narrowed down 50,000 volumes to arrive at a top 100 divided by genre, and a top 10 of any genre. The top 10, as well as links to PW's best children's and food books of '09, after the jump. Bailey, who was given access to the journals Cheever kept throughout his life, shines a new light on Cheever's literary output, making possible a fresh reappraisal of his achievement. In addition, Bailey offers up juicy, appalling, hilarious and moving anecdotes with verve, sensitivity and perfect timing. Chaon was a National Book Award finalist for Among the Missing, and this gripping account of colliding fates, the shifty nature of identity in today's wired world and the limits of family is easily as good, if not better. It's a literary page-turner, a cunningly plotted and utterly unputdownable novel. The development of the ICBM as a key part of the cold war arsenal wasn't inevitable. In a splendidly reported and narrated account, Sheehan credits Air Force Gen. Bernard Schriever with the foresight and shrewdness to triumph over powerful Pentagon opponents and develop the crucial and terrifying weapon. An NBA finalist (we found him first), Mueenuddin delivers Pakistan through the stories of its people: yearning, struggling, plotting, in a heartbreaking story collection that is specific and universal all at the same time. LaValle's brilliant second novel is unlike anything else out there: Ricky Rice, an ex-junkie African-American bus station porter, gets sucked into the bizarre machinations of a rural Vermont cult dedicated to studying “The Voice.” The narrator is blisteringly funny in chronicling his bizarre quest, providing both a blazing story and an astute commentary on race. In a thrilling narrative of scientific discovery and the spirit of an age, Holmes illustrates how the great scientists of Britain's romantic era gripped the imaginations of their contemporaries and forever changed our understanding of the universe and our place within it. A graphic novel to bring us all back to comics, Small's account of his terrifying childhood is amazing. The drawings of his parents and the small suffering boy who doesn't quite understand until much, much later will pull you along panel by panel and tear your heart out. Dyer creates an aging hipster grinding it out as a freelance journalist who pursues the girl instead of the story: covering the Biennale. Then, depending on your point of view, he either loses or finds himself when he's sent to Varanasi. Dyer has many books to recommend him, but all you need is angst-ridden Jeff: funny, frank and utterly charming, and if you haven't walked in his shoes, you'll wish you had. In this classic adventure tale, New Yorker writer Grann—who gets winded climbing the stairs of his New York City walkup—follows in the footsteps of early–20th-century Amazon jungle explorer Percy Fawcett, who disappeared along with his son on a 1925 expedition. Grann expertly and energetically weaves the story of Fawcett's explorations with that of his own. Great blog, but I'm not sure why you added a link to it on Apartment Therapy. Was that spam, or is it a connection I'm missing? No, not supposed to be spam - apparently, half of my signature disappeared when I pasted it in. I can see why it'd look a bit odd without the rest! Nice blog, yourself. I love your post on the Covington mural. It's rare to see a mural that embraces subtlety.